We were lead to a small ante room at the end of the restaurant, it was cozy and very intimate for a group of 10 diners. 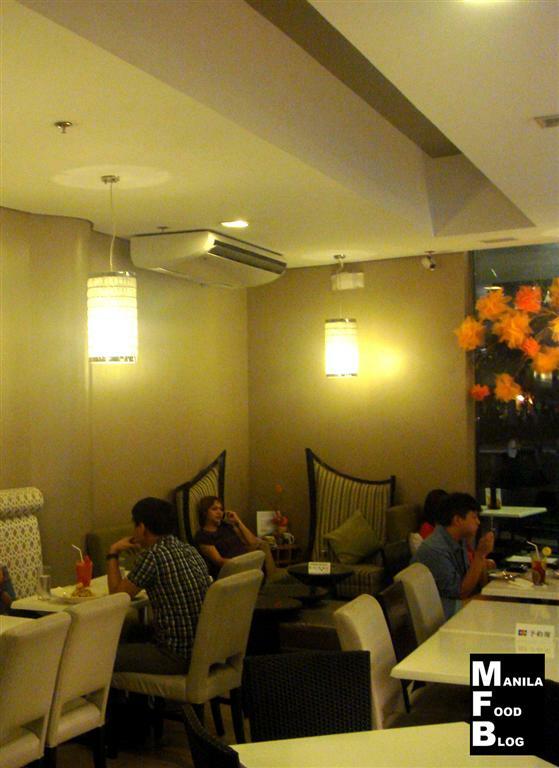 I was in love, the fixtures were nicely appointed, the chairs were soft and the couch was to die for. I loved the space especially the warm lighting. The restaurant was designed with the diners in mind, it was a no frills place but thought of making the place feel like home and I think they pulled it off perfectly. One thing that was amiss, I believe, was the light fixtures in the main dining area. It looked good but wasn’t as great as it could have been, something was not right. It looked plain and industrial to me, which did not fit the homey feel of the restaurant. 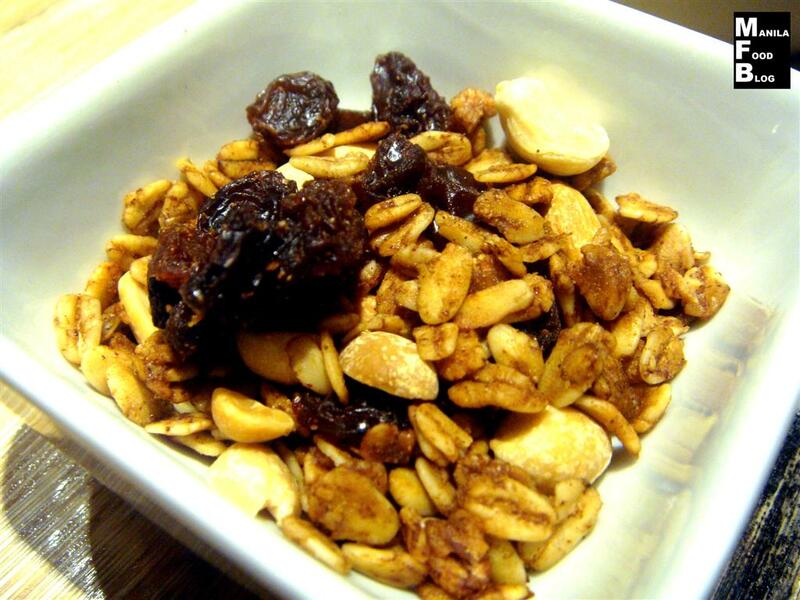 They served a small dish full of healthy knick-knacks; includes grains, oats, cereals, dried fruits and raisins. It looked like Mueslix, the healthy energy bar. It was sweet, healthy and the best part; it was FREE. 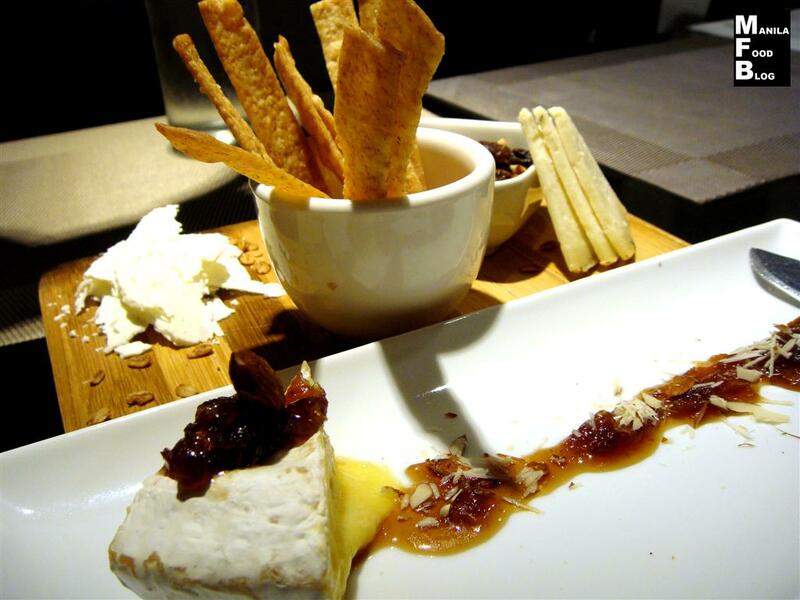 The next item, is the cheese tasting dish. I liked the onion marmalade and the cheese that came with it but the best part of it was the breadsticks; all I have to say was WOW! 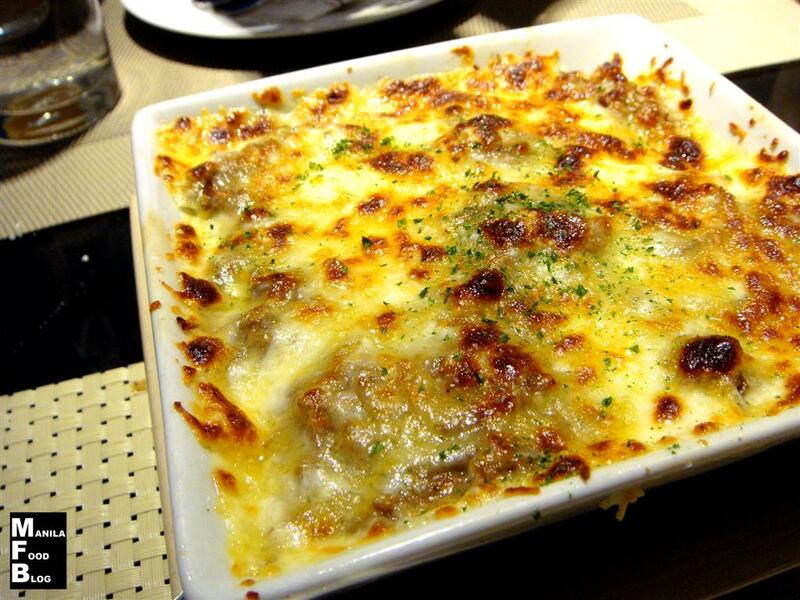 It was not the usual ones they serve in restaurants and I found myself munching on it up until we left the place. Back to the dish, the onion marmalade-cheese pairing was great, as well as the goat cheese but I did not like the blue cheese; honestly, it tasted like erasers, similar to the ones you nibbled one when you were in kindergarten and would spit afterwards. But it wasn’t the fault of the restaurant, that’s just how the cheese tasted. 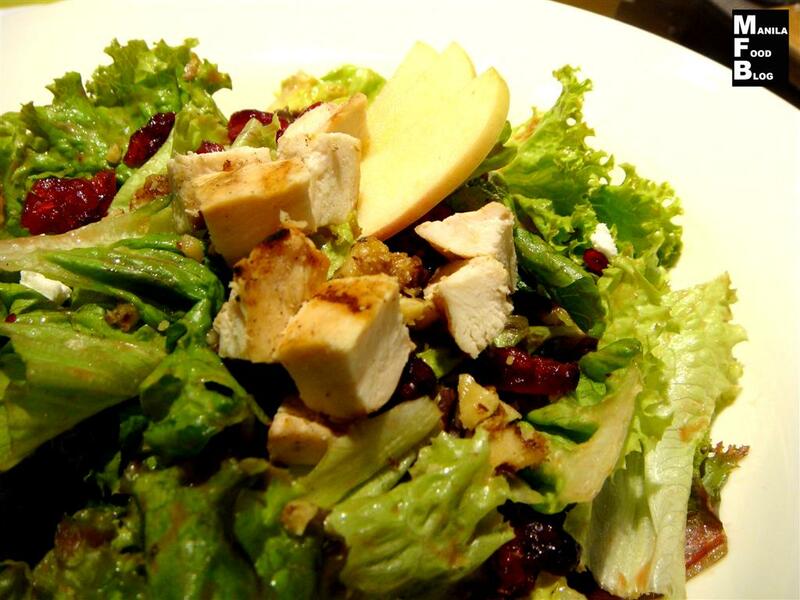 Another hit, I have to say this is one of the best salads I’ve ever had in my life, the greens were fresh, the chicken was perfectly cooked and the cranberry packed the needed sweetness. It was a feast of flavors in my mouth and this started my love for the restaurant. Wow! 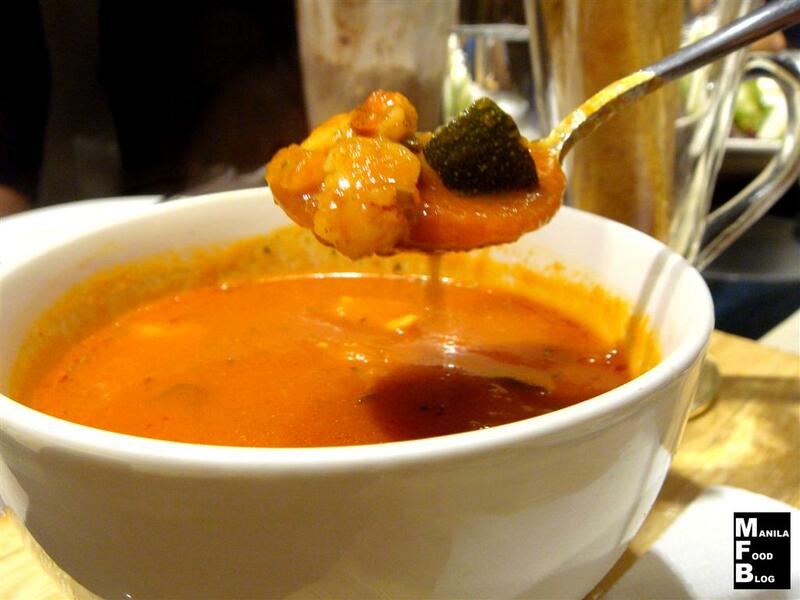 The food kept coming and the quality was superb, I love the flavors of the sea infused with the perfect tanginess of the tomato soup. Serve me anything with shrimp and I’ll be happy but this was an exception, it made me happier than usual because the flavors were so vibrant and pronounced but complimented each other so well without overpowering any singular taste. This was heaven, especially the beef, which was so tender, succulent and tasty. I’m now a convert and I think I would drag my family here once in a while; this was so exceptional because the flavors were just right. The chicken was done well and the cheese was divine, I wanted to take home the portions that were left, as it was a perfect midnight snack but shyness took the best of me. I recommend that you try the beef first before thechicken so you’ll know how good it really is. This was a simple dish that packed a punch, just pasta infused with crab fat or aligue, as known in the vernacular, with shrimps. I say, magnificent. 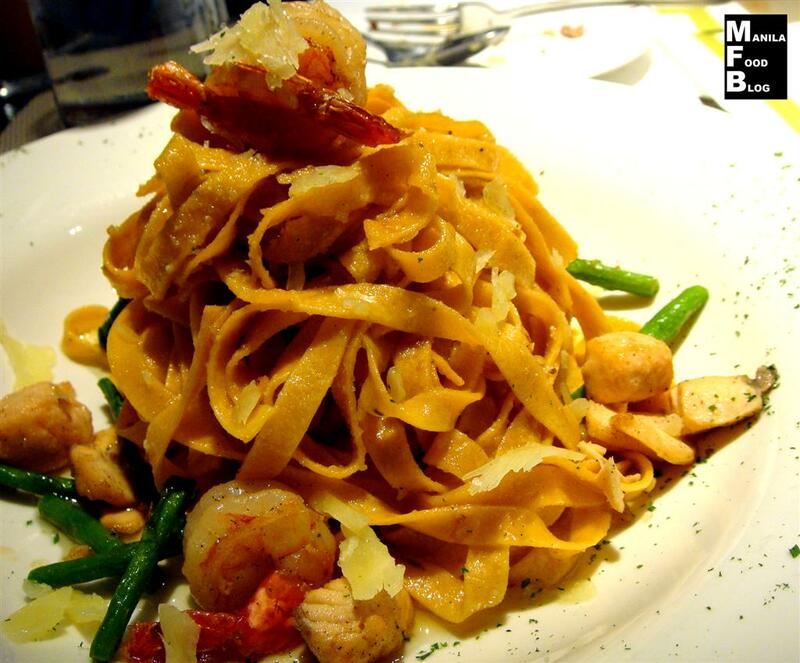 I like this better than the other pasta dish and it was exceptional, words escape me on how I could describe this dish. The cheese topped off the experience, it was the sea that was so perfectly embodied in a pasta dish. The manager of the restaurant told us that they make their pasta fresh, so it was a surprise that our pasta was black. 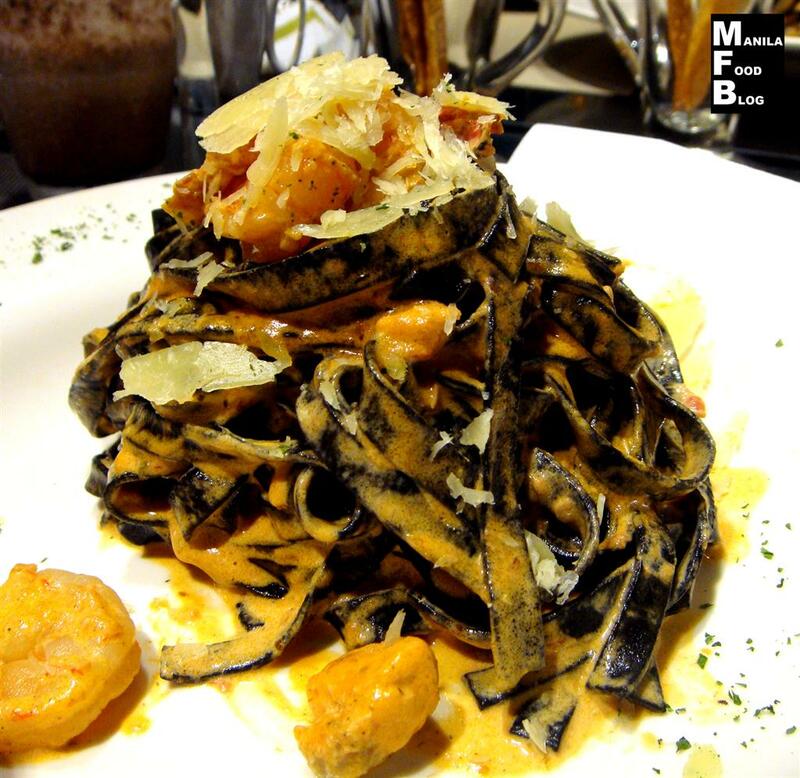 We were told that they used squid ink in making the pasta that’s why there was no more need for a black sauce since the pasta itself had squink. I was a bit hesitant at first, actually I didn’t taste much squid the first try but on my seconds, it grew on me. It wasn’t overwhelming but was good enough for those who like squid. This was unique. 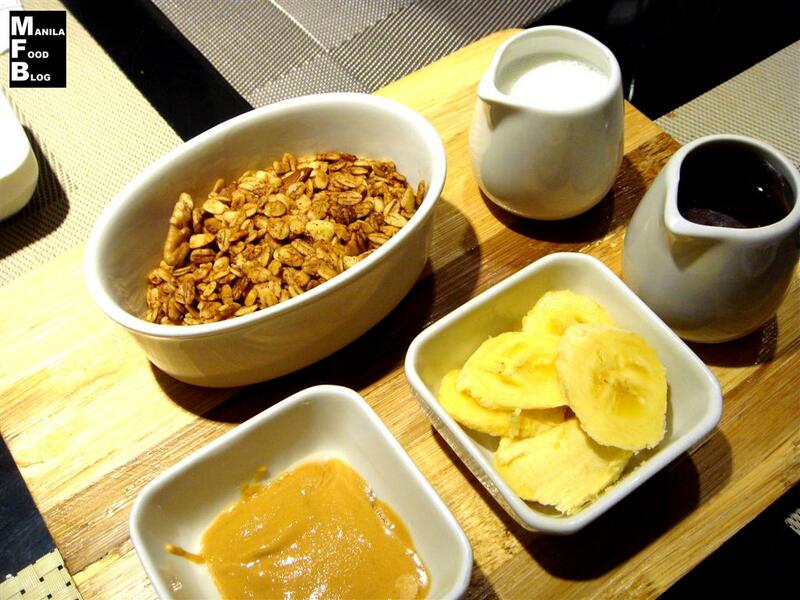 Cereals and oats with bananas, Belgian chocolate and milk. Good. Great. Healthy. Yummy. Satisfying and straight to the point. It’s in all caps. This is one of the definitive dishes at slice, it has a small following that is starting to grow and I have nothing more to say but GO and HAVE SOME. It’s DIVINE, HEAVENLY, GREAT and every superlative adjective you can think of and use from the dictionary. 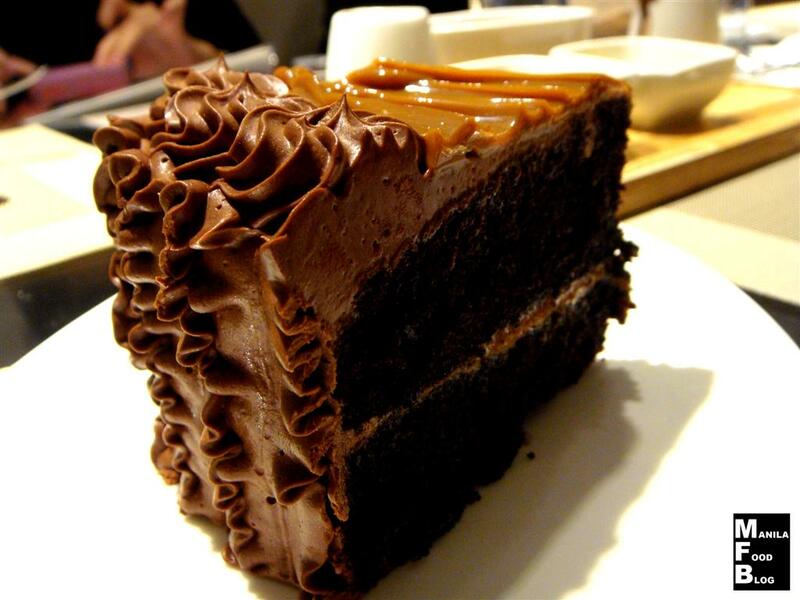 The cake was moist and was perfectly chocolatey but the frosting was the winner, yema and chocolate, need I say more? After the choco-yema this came in at second place. 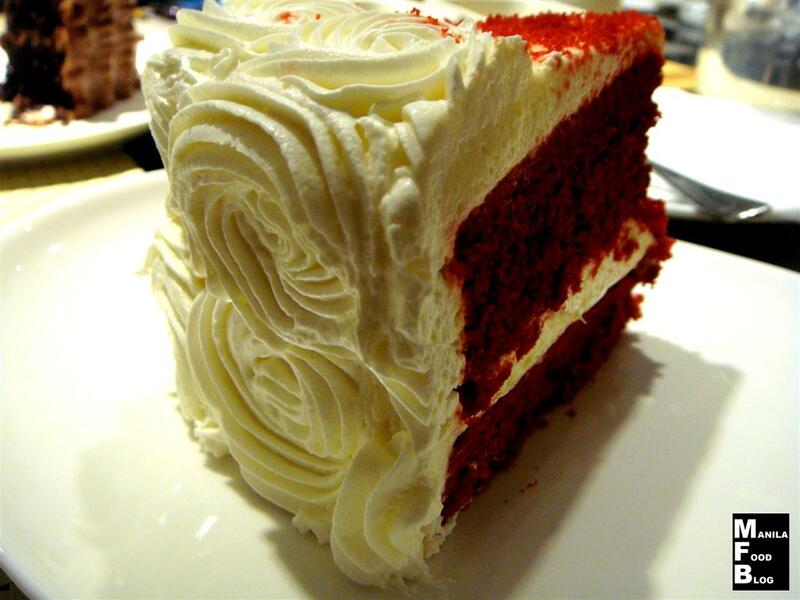 The consistency of the cake itself was similar, moist and just right without being too soft. The frosting was also good, you’ll know from the quality of the ingredients and it wasn’t too sweet. I’m still awe struck by the choco-yema so I’ll keep this one short. 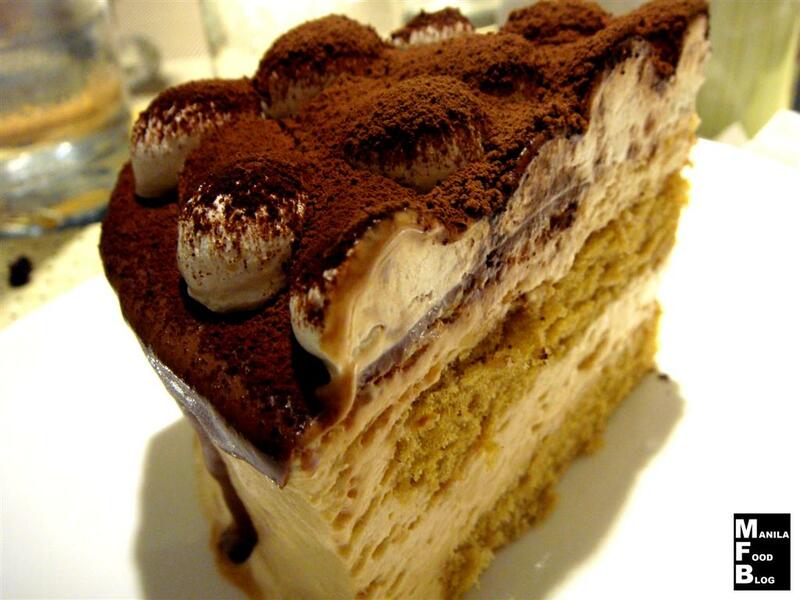 Their take on Tiramisu, everything was ok. I have to say that I was never a fan of coffee in any form, I don’t drink coffee so I didn’t like the cake, I had a very small tasting portion and it was ok. Something about just doesn’t resonate with me. 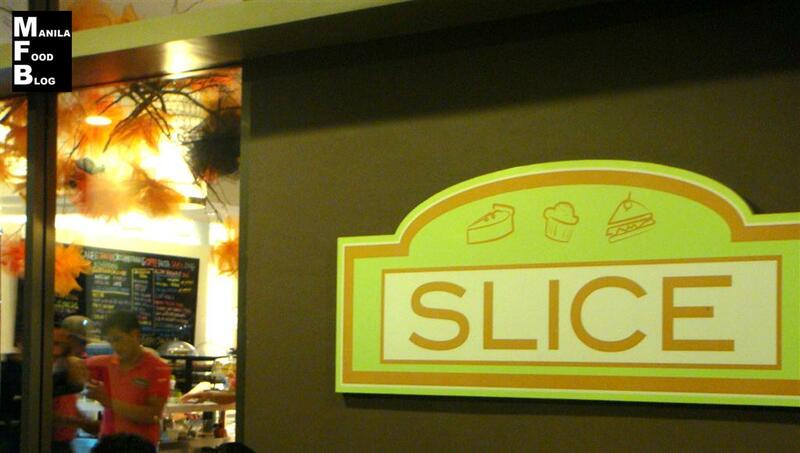 Slice deserves a 4.5 out of 5 for the Manila Food Blogger. The prices were within reach the portions were generous and the quality of the food was excellent. I recommend it to everyone who wishes to have a great dining experience amidst the hustle and bustle of the city, it’s a great place to relax and enjoy good food with friends or family. 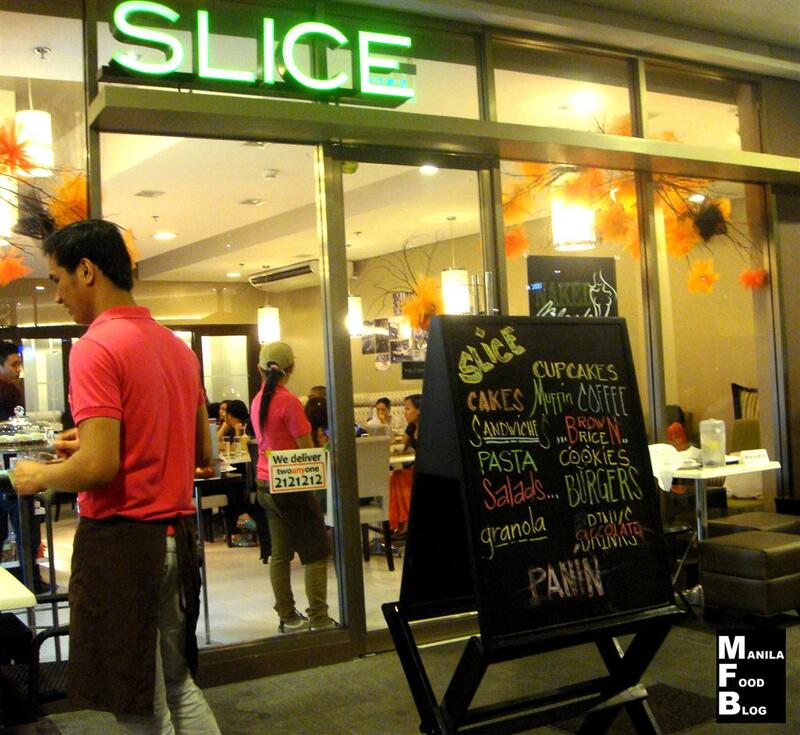 The winner for me is the choco-yema cake and the beef brown rice with cheese. I would definitely go back for more! 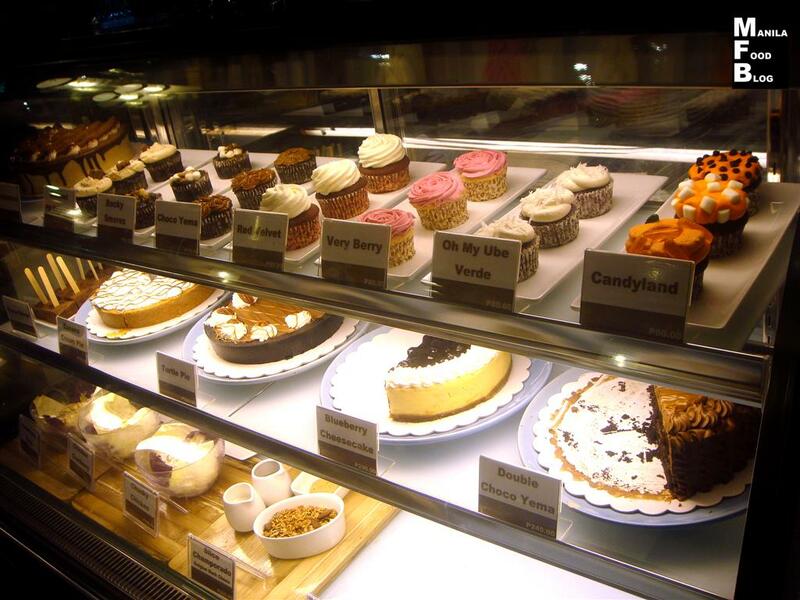 This entry was posted in BGC, Desserts, Taguig by manilafoodblog. Bookmark the permalink.